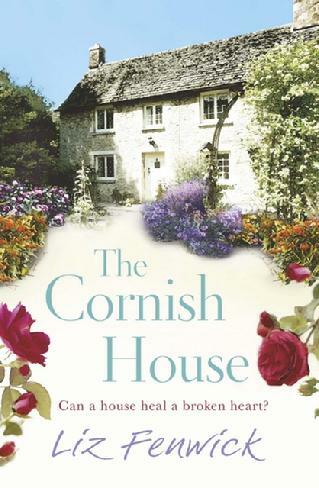 Back in May I went to a very jolly party, with Cornish pasties, in Waterstone’s Kensington High Street to launch Liz Fenwick’s debut novel, The Cornish House. Since then I have read it twice and followed with fascinated admiration her blog about getting on the road to promote her book. Her energy and good humour about this daunting part of an author’s life are an object lesson to a lot more of us than debut novelists, believe me. The novel has made me think. I gallopped through it on holiday, in between prowling rain-soaked bits of countryside in company with a Birdwatcher. (Actually that sounds a lot grimmer than it was. The air was like champagne, even when the sun was hidden behind a roof of storm clouds, and brief bursts of intense sunlight illuminated the landscape like a mediaeval Book of Hours.) It was definitely a book where I wanted to know what happened next — and some of it I really didn’t see coming, which is why I am walking on eggshells here not to reveal any spoilers. But the first gallop left me unsatisfied. I wanted to read it again. Now I have and it was worth it. This is a book which sets its own rules. Just at the point at which I was thinking oh no, not another death, this could beat Midsummer Murders at its own game, I realised that the recurring doom in every story Maddie uncovers about people from the past absolutely reflects her own grief. Good things do happen — there is not one hunk but two, both of them interested in Maddie; locals welcome the incomers and are consistently kind, teasing and inclusive. She responds, and so does Hannah; but only fitfully. There is even a moment when Maddie has to suppress jealousy over the closeness of her sprightly neighbour and her husband. It rings painfully true. There are seasons to mourning, as there are to the year (and Liz Fenwick is very good on the changing Cornish landscape over the months of this story), and they can’t be hurried, even though dealing with a poisonous teen, the pub and picnics still have to go on in another space in Maddie’s head. There is much that is life-enhancing, too: the run-down house, with its mysterious corners, the social life of the village, its continuity over the centuries, Cornwall itself. Even Maddie’s emotional turbulence is vivid evidence of the world turning: grief makes her heroic, problem-solving, opens her mind; it also plays hell with her judgement and turns her intermittently indecisive and obsessed. Trying to give you a flavour of this book, I came up with somewhere between Daphne du Maurier and Miss Read. There is du Maurier’s love of Cornwall and her sense of the chaotic, exhausting power of emotion. But du Maurier darkness is alleviated by Miss Read’s gloriously normal gossip, feuds and neighbourly interference for good or ill. Above all there is kindness, both trivial and profound. Ultimately this is a hopeful book– and also a healing one.